Not every Villain is a Criminal. Luckily, Dan and Jon know that more than anyone! Aimless Wanderings is a series of audio adventures following several vaguely incompetent incarnations of a Time Lord called the Doctor. The Ninth Doctor Adventures are non-profit fan audios, starring Pete Walsh as the Doctor. 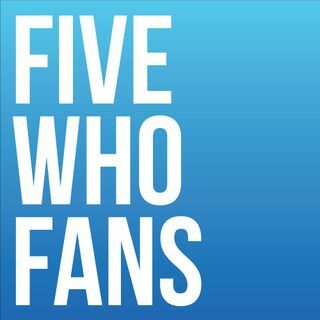 FiveWhoFans The Podcast, Join the team as they discuss a myriad of "Timey-Wimey" topics! Including, Doctor Who, Films, Cartoons and other general tittle tatter that takes their fancy! With occasional appearances from other FiveWhoFans members and guests. Billy and Jon are separated by miles of water, trapped within two different masses of land, but their friendship is held together by stories. These are their phone calls.